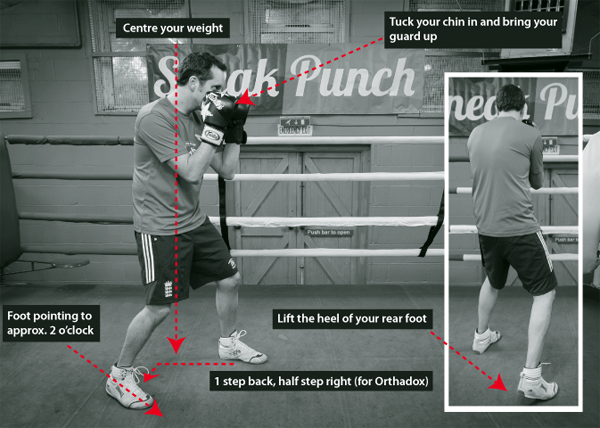 Getting your stance right is an important factor in boxing, just as in most sports. Tennis players have to get their grounding right before they can hit the ball at optimum power. Judo players have to ensure their stance is correct so they can throw whilst still keeping balanced. Even runners need to ready themselves correctly on the running blocks in order to power off into a sprint. And it is the same for boxers too. 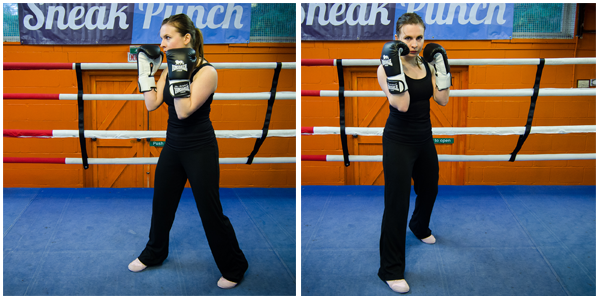 In Boxing there are many different styles and stances but ultimately, I believe it is best to choose a stance that feel right for you. 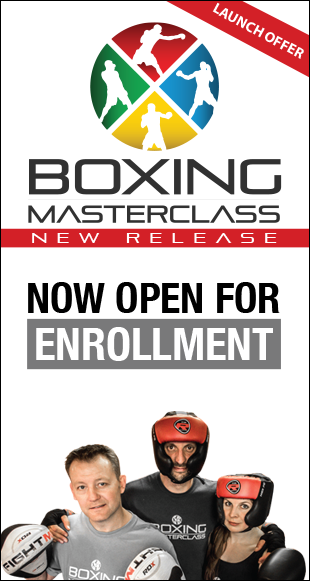 In the picture above, is the stance I was taught when I first started boxing at 11 years old. It has held me in good stead over my whole career. Stand with your feet together and take a step back with your right foot (based on an orthodox stance). Then, with the same foot, move it out half a step (to a step) to your right (approx. shoulder width apart) and turn your toes to about 2 o’clock – lift your right heel slightly from the floor. You then need to make sure you are centred – avoid leaning over the front foot and no leaning back too. Let your legs bend slightly and imagine the weight of your body is positioned downwards to the floor. Keep you chin close to your chest, pull up your guard letting your shoulder rise slightly. Then importantly…..relax. You want to be able to move fluidly and at a seconds notice, so don’t tense up, as this will slow you down. Make sure your body is centred. Try not to lean over your front foot or lean back. Point your right toes out to approx. 2 o’clock. Lift the back heel of your right foot. Keep your chin tucked in to your chest. Stay relaxed in your stance. 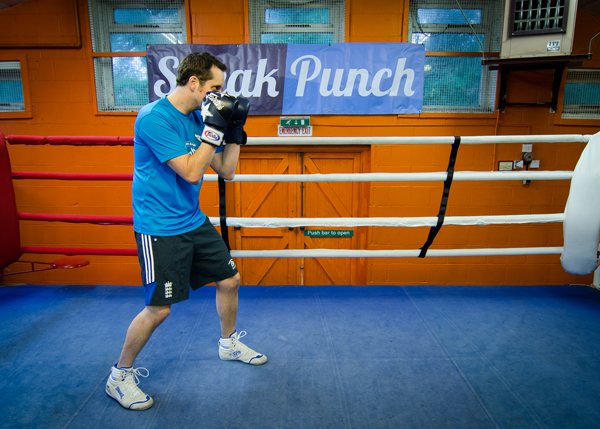 Please check out our “The Stance” quick video guide on Sneak Punch TV for some more information – there are also a couple of great tips on the stance shown in our boxing insider secrets video if you need more help to get it right. Below Rachel is showing the Southpaw stance (left handed stance). So, the stance is important! Although it looks fairly simple, there are (as shown above) a few key factors to check and make second nature. Once you have the stance correct, your next step is to learn how to move on from there. You need to make sure you keep that grounded base, but I will go into further detail of ‘moving in the stance’ on another post.